Prison security is one of the most important applications for perimeter detection equipment. Human beings by their very nature do not like constraint so it's no surprise to discover that prisoners over the centuries have attempted all manner of escapes. So much so that Wikipedia has a page dedicated to the subject! Probably the most fascinating and incredulous is the story of Italian author and adventurer Giacomo Casanova who escaped from prison in Venice in 1757. He eventually and successfully made his way to Paris. His life had been an extreme one and his prison escape was no different! He had been sentenced to five years imprisonment but after soliciting the help of the prisoner in the next cell (who was a priest), he effected an amazing escape. First he managed to pass to him a metal spike hidden in a folio Bible and carried under a heaping plate of pasta by a jailer. The priest made a hole in his ceiling, climbed across and made a hole in the ceiling of Casanova's cell. Casanova lifted himself through the ceiling and the two men made their way in heavy swirling fog onto the sloping roof of the Doge's Palace. 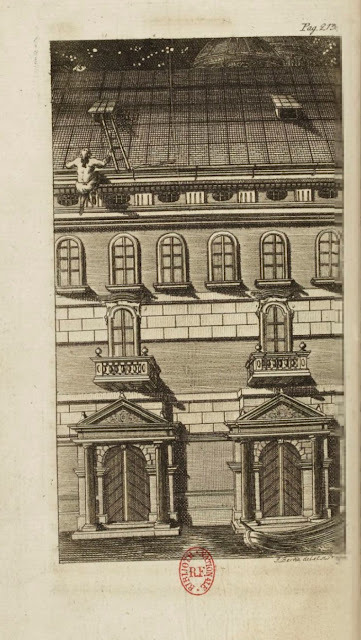 There was a sheer and long drop to the canal below so Casanova opted instead to prise open a grate over a dormer window and break the window. The priest followed. Using a ladder which they found on the roof and a bedsheet rope that Casanova had prepared, they lowered themselves into a room in another part of the building. There they stayed until the next morning. They changed clothes, broke a lock on an exit door and found themselves wandering through the palace. When they came across a guard they used their wits and managed to convince him that they had been accidentally locked inside the palace after an official function. It was 6 am. They were allowed to leave and made off in a gondola! Casanova himself was astonished at the success of his escape. Thirty years later he described it as "a wonder if not a miracle. I admit that I am proud of it; but my pride does not come from my having succeeded, for luck had a good deal to do with that." In 1881 infamous outlaw Billy The Kid escaped from prison but his freedom was short-lived as he was captured and shot by Pat Garrett just a few months later. In 1975, American Billy Hayes who had been convicted of drug smuggling in Turkey, escaped from prison in Imrali. He used a rowing boat and successfully made his way via Istanbul to Greece. From there he was deported to the United States where, n 1978, he wrote a book about his experience. The book was made into a film - it was entitled 'Midnight Express'.